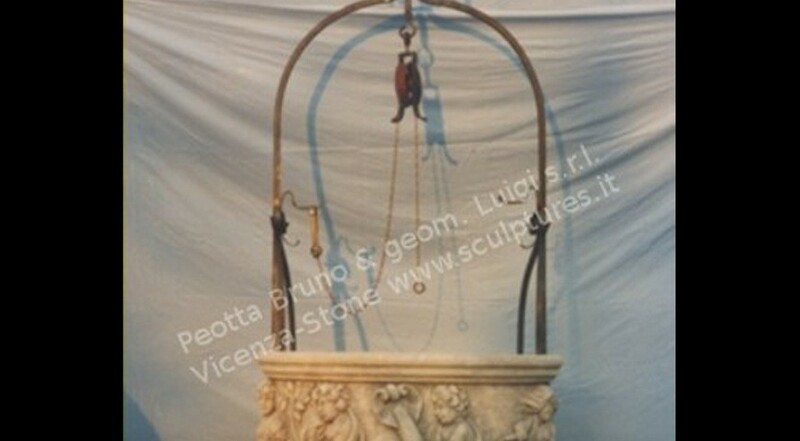 An antique round well complete with step and hand carved wrought iron with round decorated parts. A lot of cherubs around with seasons elements, also the water scene. Baroque style, Florence origin. Dimensions: Well Diameter 47"; Step Diameter 75"